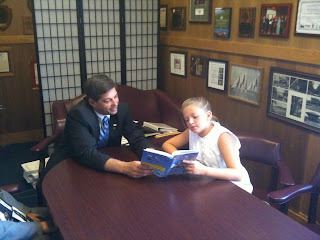 Even though she is only 10 Wilmington’s Ruthie Baker is a published author. 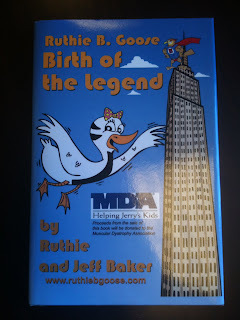 She teamed up with her father, Jeff Baker, to write “Ruthie B. Goose-Birth of the Legend”, a story about Ruthie B., an ambitious Bar-headed goose seeking to set the world record for the altitude reached by a bird. The entertaining book for children combines science, ornithology and creativity for a great read. More important than the story in the book, however, is the story of the authors, who each have Charcot-Marie-Tooth, or CMT, a form of Muscular Dystrophy. 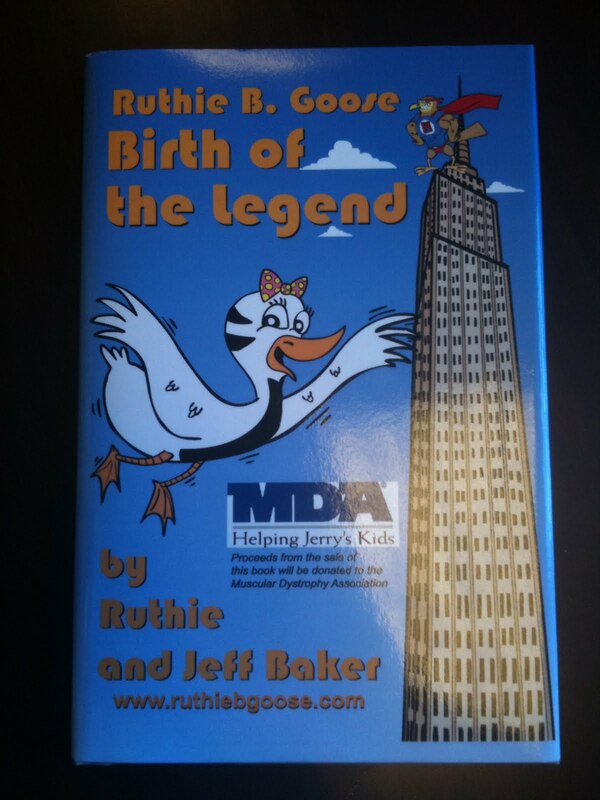 Because of the good work that the Muscular Dystrophy Association has done for their family and others, Ruthie and Jeff are donating all of the profits from the sale of their book to the association. On Thursday, July 29th I had the honor of introducing the Bakers to my colleagues on the floor of the Senate during one of the year’s last formal sessions. They were greeted with warmth, enthusiasm and appreciation. Below I am pictured with Ruthie at my conference room table. You can learn more about the book and the authors at: www.ruthiebgoose.com.